Intersections: Between Asia and Latin America. 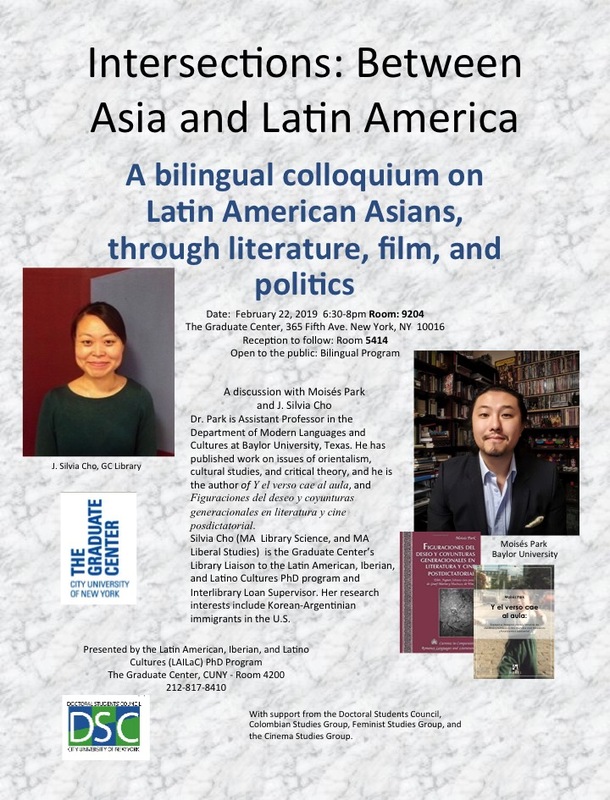 A bilingual colloquium on Latin American Asians, through literature, film, and politics. A discussion with Moisés Park and J. Silvia Cho. Date: February 22, 2019 6:30-8pm Room: 9204. Dr. Park is Assistant Professor in the Dept of Modern Languages and Cultures at Baylor University, Texas. 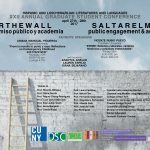 He has published work on issues of orientalism, cultural studies, and critical theory, and he is the author of Y el verso cae al aula, and Figuraciones del deseo y coyunturas generacionalesen literatura y cine posdictatorial. Silvia Cho (MA Library Science, and MA Liberal Studies) is the Graduate Center’s Library Liaison to the Latin American, Iberian, and Latino Cultures PhD program and Interlibrary Loan Supervisor. Her research interests include Korean-Argentinian immigrants in the U.S.